Now that you are logged in and recognised as an employee, all you have to do is enter your LME number (as printed on your staff card) in the promotion code section, either at View Bag, or Step 2 - Billing of Checkout. The discount will only be taken off the product prices once the correct LME code has been applied. 1) What is my login? 2) What should I see when I login? You will not see the employee discount price once you have logged in, but you may see other discounted prices – these should be ignored. Only once you enter your LME number as a promotional code at checkout will you see the employee discount price. 3) What is my promotion code / LME number? Your LME number is printed on the back of your employee discount card. This is an individual number given to all employees. 2) What is the current online employee discount? Online only employee discount: 50% off full price apparel (excluding leather goods), 35% off full price accessories. 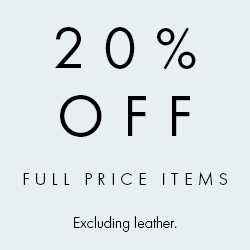 Please note that Sale and Leather Apparel cannot be purchased online using the employee discount. 4) Will employee discount be monitored? Your promotional code (LME number) is linked to your personal profile and will be monitored, as per company policy. 5) Can I receive VIP or Non-VIP customer discounts as well as or instead of the employee discount? Employee discount cannot be used in conjunction with any other offers. Employee discount will override any current customer discounts, including VIP. 6) Can I purchase Sale items using the employee discount? Sale items are excluded from the online employee discount. If a promotional price is running on Sale items (i.e. Take a further 40% discount) employees will be able to purchase at this price. 7) Can I return or exchange my purchase? Employees are entitled to return or exchange purchases, in line with the company returns policy for all customers. Please refer to and read our returns policy. 8) Who do I contact for help with my purchase? Employees may contact the Customer Care team for help with their purchase, however the Customer Care team will prioritise non-employee customers at all times. Please note that Customer Care will become busier at peak times. At APG & Co we want to encourage our employees to be Brand Ambassadors, wearing the latest APG & Co fashions. The employee discount benefits form part of the APG & Co Benefits Program, subject to change from time to time. These benefits are privileges and are not entitlements. Misuse or abuse of discount privilege will result in disciplinary action and up to termination. This policy sets out APG & Co’s requirements for eligibility and participation in receiving the employee discount. The Employee discount is only applicable to the cardholder and immediate family members, however, employees only must purchase online. This policy applies to all employees of APG & Co.
All purchases are subject to the conditions of the company returns policy. In the event that any additional guidance and/or further interpretation are required, please contact Customer Care.